Simplex HR was founded by Shannon Stickney, an executive coach with over 20 years of corporate Human Resources experience. She built a reputation of successfully coaching leaders to embrace new ways of thinking and lead effectively through change. Her intuition, life experiences, and ability to shift perspective enables her to guide others to discover their purpose. Shannon started Simplex HR with the vision of advancing businesses by offering access to quality HR expertise and the executive coaching services typically offered in large organizations. Shannon has worked with a wide range of individuals including C-level executives, new leaders, business owners, and professionals who are looking for a safe place to explore their personal and professional aspirations. Simplex HR provides coaching and consulting services in the United States and internationally. Shannon completed her undergraduate degree in Business Administration at the University of Tennessee and holds a Masters Degree in Labor and Human Resources from The Ohio State University. She is pursuing her post graduate training in personal and executive coaching at the College of Executive Coaching. Shannon is a Senior Professional in Human Resources (SPHR) and is certified in the Prosci Change Management Process. 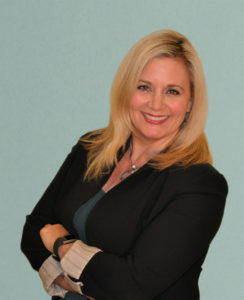 She is also a certified Hogan Assessment administrator and is a member of the Hogan Independent Consultants Network, the International Coaching Federation, and the Westerville Chamber of Commerce. Are you a business owner seeking to enhance the performance of your team or company? Do you know something needs to change in your life or career, but don’t know what it is?